Throw on Pearl Izumi’s Men’s P.R.O. 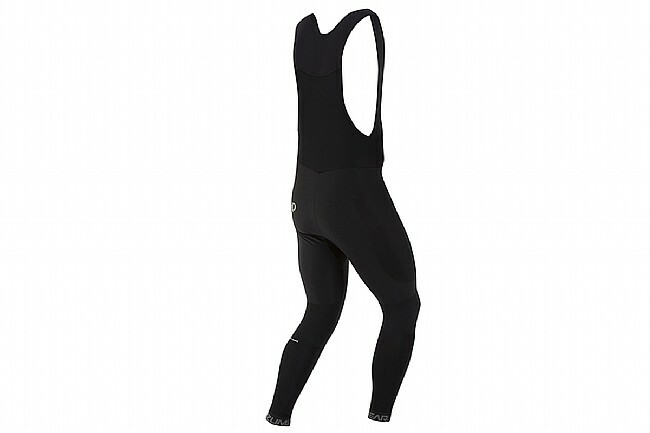 Pursuit Bib Tight over your bike shorts for a reliable barrier between you and the elements. These bib tights feature P.R.O. level 3-layer softshell panels in key areas such as the lower legs, to protect you from wind chill, rain, and road spatter. Thermal panels on the bib upper and back of the legs facilitate air flow while also generating warmth. Soft, raw edge bib straps ensure a comfortable fit up top while a contoured design provides muscle support to your legs. The leg cuffs are elasticized ‒ no zippers ‒ for a smooth fit and feel beneath your booties. Reflective details enhance visibility at night and in low light conditions. 3-layer softshell panels - wind & water protection. Thermal paneling - breathability & warmth. Contoured design - muscle support & easy layering. The material is new in these tights. It has a very soft feel and has a very nice fight but feels a little tight around the knees because the fabric does not stretch as much. There are no zippers on the legs. This makes the fit more comforable but the grippers make it harder to pull them on. If you turn the ends inside out it makes them easier to put on. 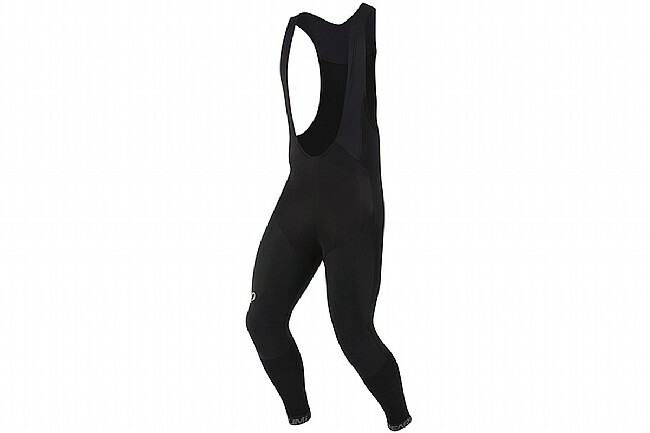 Overall, great Pearl Izumi quality so this is a great pair of tights.